Now you can promote yourself at every customer touch point. It is complete continuity of your brand, it shows your style and superior quality. Following a design through from Poster, Menu to Drinks Coaster shows an unerring attention to detail. Customers appreciate the detail. "The tables look so much better. Branded coasters. Brilliant." Attention to detail matters with your offering. Printed on bleached wood pulp board these don't just look great, they have an excellent absorption rate too. We have an amazing range of fully customisable drinks coaster designs for you. Simply add your logo, add a message or even upload your own design. There are limitless possibilities. All of Print Waiter's Coasters are four colour printed on both sides, and they are fully customisable. For the first time, your entire look and feel can translate throughout your entire establishment. 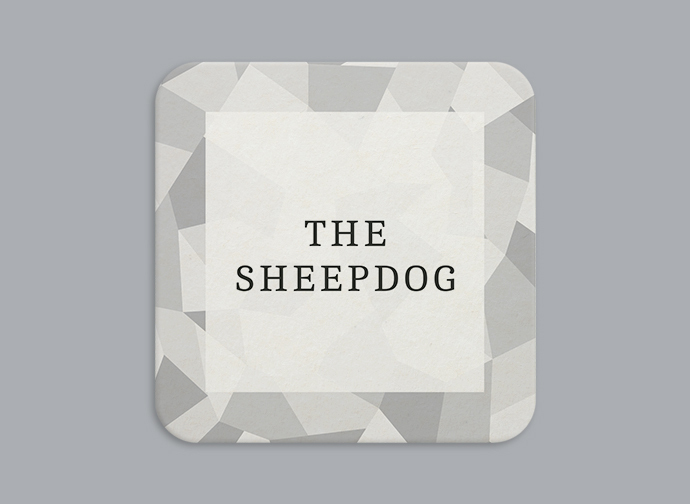 A stylish coaster design for the purist that looks great in contemporary restaurants and bars. 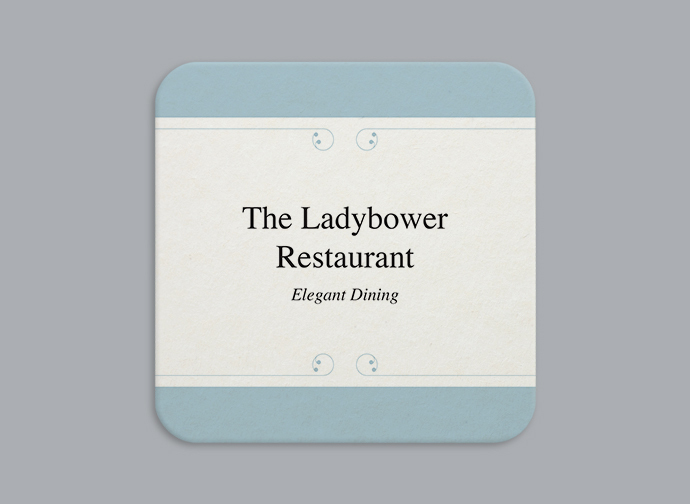 The LadyBower Restaurant - A dignified coaster design that speaks volumes for your restaurant, cafe, bar or hotel. 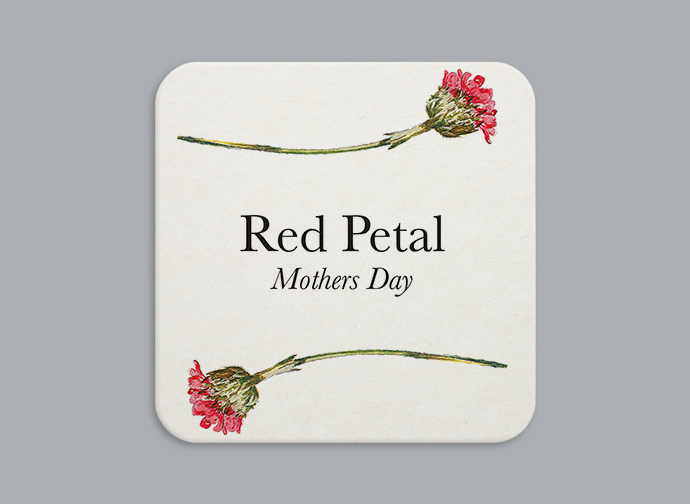 This stylish Mother's Day Coaster is perfect for quality establishments with a perfectly balanced decor. 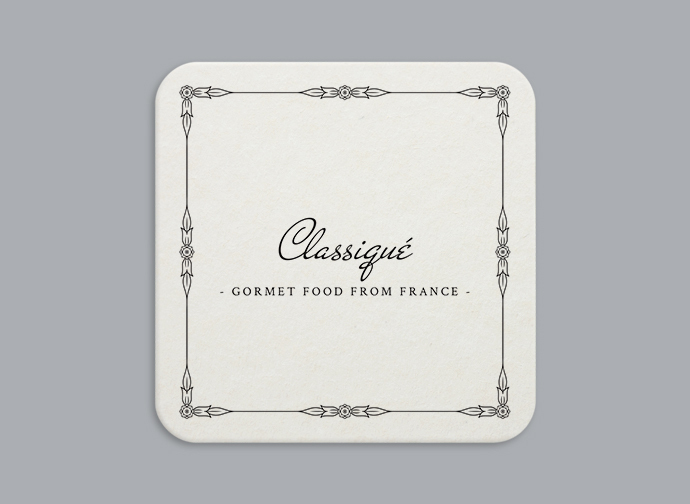 Classiqué – This crisp coaster design features a flowing font and floral border for refined dining and drinking establishments. 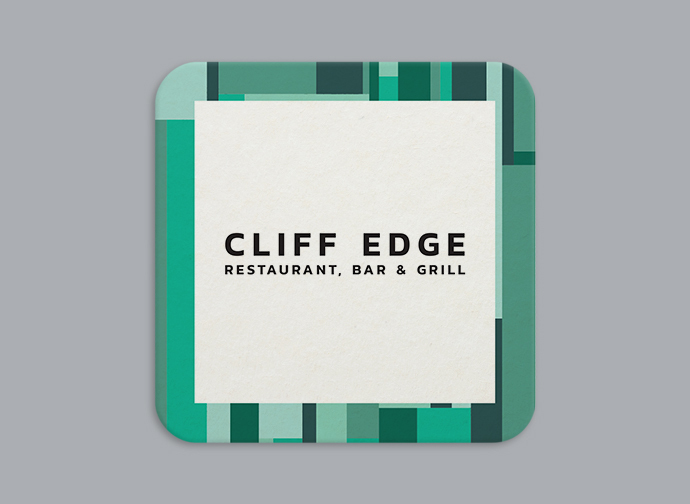 An abstract fragmented ice coaster design that really stands out for festive drinks or meals. Geom Turquoise – This bold tri-tone coaster design gives a 3D effect and is ideal for modern eateries and bars. 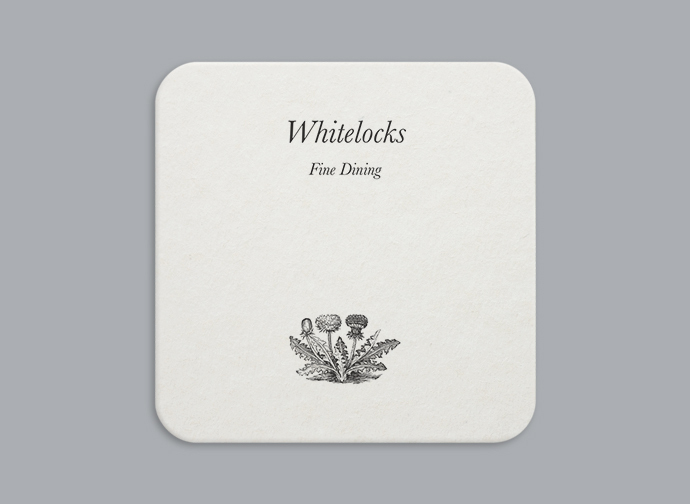 Whitelocks – A classic clean coaster design with a discreet flower motif for elegant bars, bistros and restaurants. 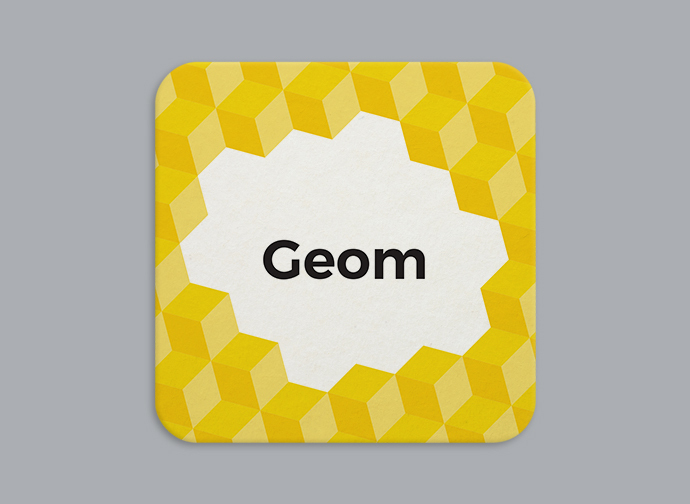 Geom Yellow – This joyous tri-tone coaster design gives a 3D effect and is ideal for modern eateries and bars. 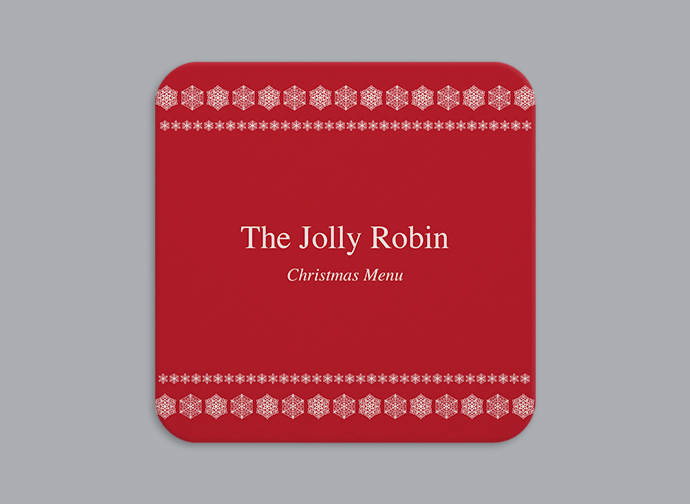 A wonderfully warm and festive red coaster design that's ideal for almost any establishment this festive season. 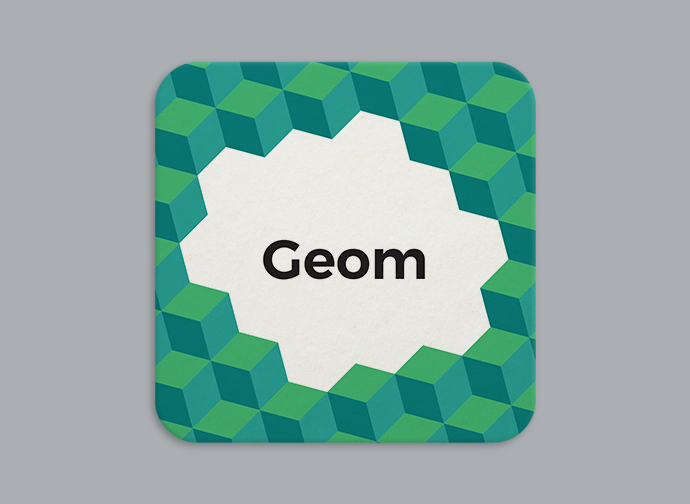 Geom Green – This smart tri-tone coaster design gives a 3D effect and is perfect for modern eateries and bars. Geom Autumn – This warm tri-tone coaster design gives a 3D effect and is ideal for modern eateries and bars. Geom Pink – This vibrant tri-tone coaster design gives a 3D effect and is suited to modern eateries and bars. "Until now we'd used generic coasters, now we change our coasters with our menus."